I ran into the Gravity Brewlab guys at Grovetoberfest last month. These guys are still looking for a place to call their own, but have an arrangement and currently are brewing their own beer at Hollywood Brewing. 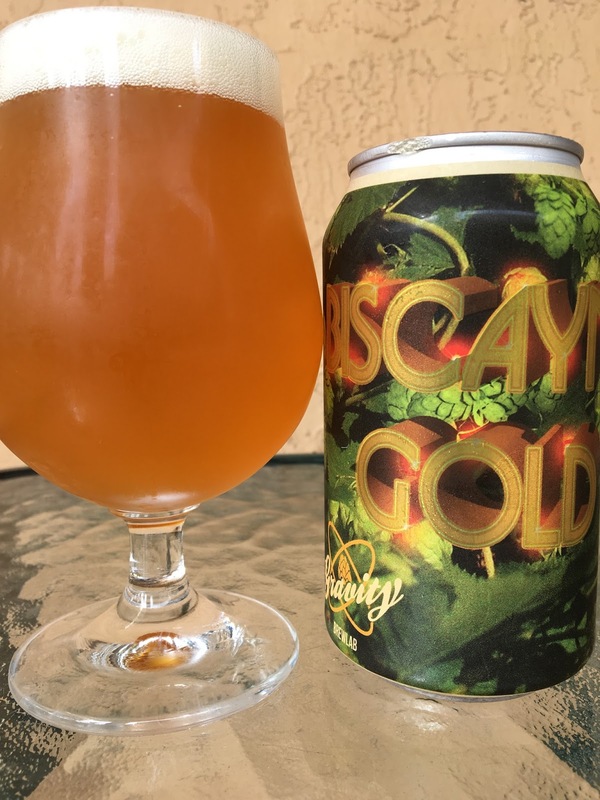 Biscayne Gold is a beer they are also canning and distributing locally. 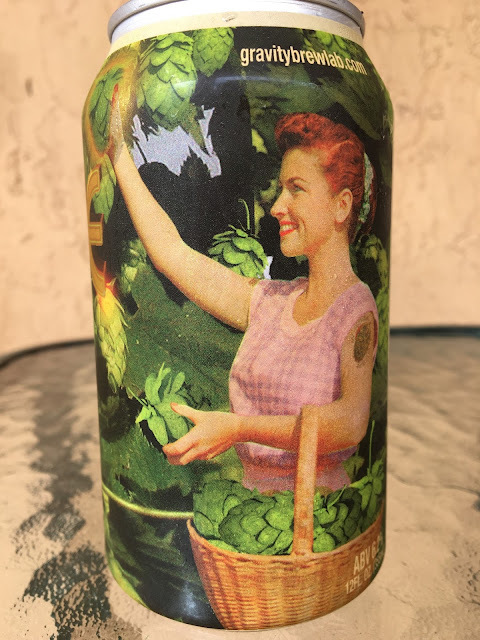 The art depicts a woman picking hop cones and placing them in her basket. 6.2% alcohol. I saw online this is listed as an IPA. Sweet honey, apple aroma, didn't strike me as an IPA. Sweet and juicy, again with apples and honey, Tangy and a little spicy with some bitter kick takes this to the finish. Decent bitterness. Not sure I call this an IPA but the flavors were pretty good.